The chief executive officer of Alphabet’s Google has defended the integrity of the company's products a day ahead of a congressional hearing where he is expected to face tough questions from U.S. lawmakers. The technology company has been under fire on Capitol Hill over issues including why it delayed disclosing vulnerabilities with its Google+ social network, whether it will restart its search engine in China and if it is biased against Republicans. Three Democratic senators wrote the Federal Trade Commission in October asking the agency to investigate Google+. In written testimony to the House Judiciary Committee made public on Monday, CEO Sundar Pichai said he led the company "without political bias." "We work hard to ensure the integrity of our products, and we’ve put a number of checks and balances in place to ensure they continue to live up to our standards," Pichai's testimony said. "I lead this company without political bias and work to ensure that our products continue to operate that way. To do otherwise would go against our core principles and our business interests." The company faced renewed criticism on Capitol Hill after senior executives skipped a high-profile Senate Intelligence Committee hearing earlier in September. The company has been criticised after reports it was considering re-entering China’s search engine market and would comply with its internet censorship and surveillance policies. Pichai said in his testimony that "even as we expand into new markets we never forget our American roots." He added that "we do work, and we will continue to work, with the government to keep our country safe and secure." 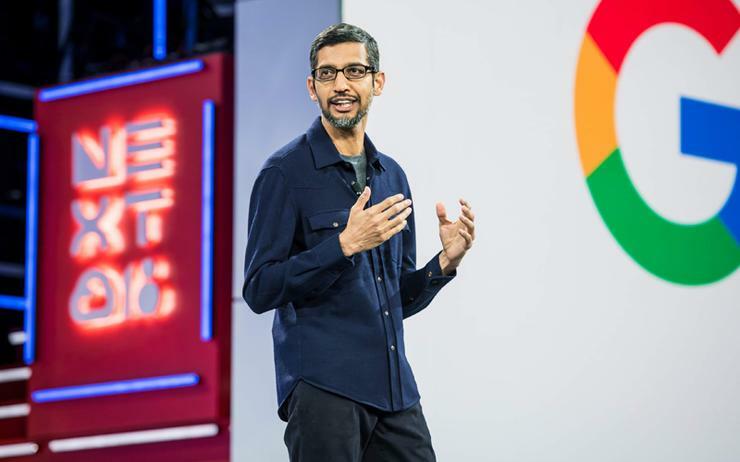 Pichai may face questions about Google+. On Monday, Google said it would shut down Google+ in April, four months ahead of schedule, after finding a software flaw for the second time this year that allowed partner apps to access its users' private data. However, Google said in a blog post it found no evidence that any other apps had accessed the data, such as name, email, gender and age, using the latest bug. It affected 52.5 million Google+ accounts, including some business customers, for six days after it was introduced last month, Google said.